Special thanks to Kim Scanlon of Scanlon Speech Therapy in Ramsey, NJ and author of My Toddler Talks for joining us today. She’s also mom of Kerrigan Grace (aka Kerri) who is 7 months old. Without further adieu, here’s Kim! L4K: Wow. I am just amazed at your energy. You’re a mom, a speech-language therapist of a busy practice, and author of My Toddler Talks. How do you do it all? Kimberly, CCC-SLP: I drink a lot of coffee and don’t sleep! Ha! To be honest, I really try to manage my time so I can do it all without becoming too stressed. Time management is key. The night before I go to sleep, I compose a very detailed to-do list. Then, I wake up the next morning, ready to tackle my day! Having my to-do list keeps me focused. It also helps that I love crossing off tasks as I complete them; gives me a sense of accomplishment. Additionally, I strongly believe in having routines because they keep my sanity. In My Toddler Talks, I write about the importance of routines and guide readers on how to create routines to facilitate language development in their toddlers. Lastly, and probably most importantly, I love what I do! After having a great speech therapy session, I feel energized! Treating my clients makes me happy. Additionally, my husband, Ryan is very supportive and I’m super lucky that my mom babysits, Kerrigan while I work. All in all, I’m very fortunate to have such a blessed life. L4K: You have a wide variety of skills and experiences from Early Intervention to school-based SLP, and even a medical center working with geriatric patients. Do you have a favorite population to work with? I bet you learn a little something about every population. 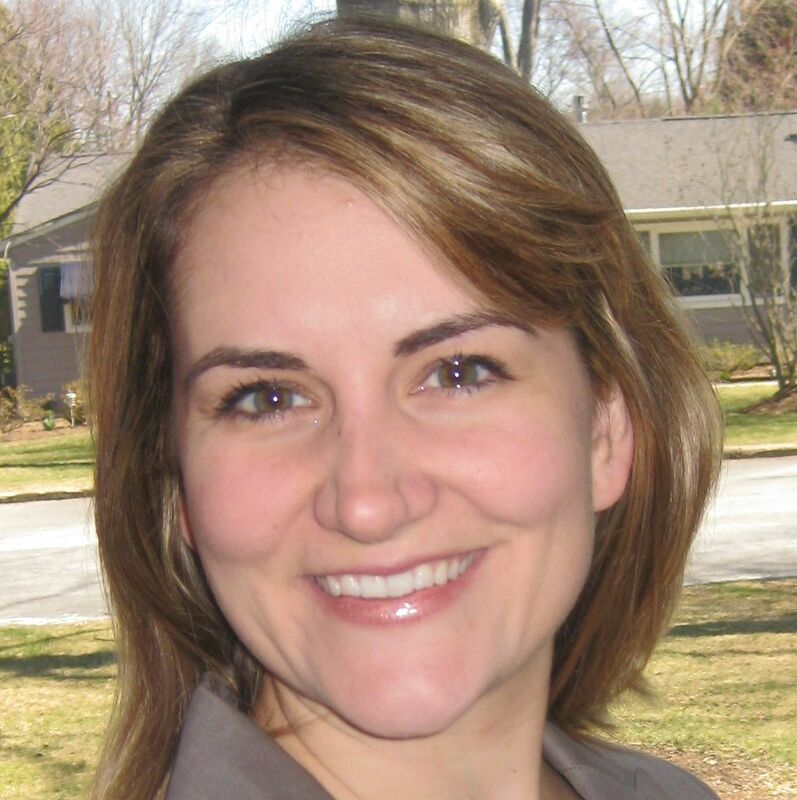 Kimberly, CCC-SLP: I’ve had such wonderful and varied work experiences in my career. A very wise mentor once told me that you should try your hand in each population and seek different settings to find your niche. Currently, I primarily treat children; a majority of them are toddlers and preschoolers. Although, I like to have a diverse caseload because it keeps your perspective fresh. L4K: I love your tagline, “making speech therapy fun and effective.” What do you find are the keys to a fun and effective speech session? Kimberly, CCC-SLP: Thank you, Leslie! Whether I’m treating adults or children, it’s important to keep things interactive and exciting. Discovering what motivates a client is critical to their success. By nature, I’m upbeat and a little zany so it’s pretty easy for me to turn even a structured task into something fun. As for effective, I also have a type A personality and strive to do my best. I invest a lot of time and money into staying up-to-date on best practices. Using evidence based strategies, devising a good treatment plan and systematically targeting goals and objectives produce effective and efficient results. 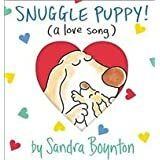 L4K: Your post on Sandra Boynton’s Book, Snuggle Puppy (February, 2013) warmed my heart, as it did many others. Can you give us some more tips on how to make reading with your child more engaging? How does reading really help with speech and language development? Kimberly, CCC-SLP: Thank you! I had so much fun writing my Snuggle Puppy post. There are so many ways reading helps with speech (articulation, voice, and fluency) and language (expressive and receptive skills). In fact, I could probably write another book on it! Books can easily be used to target very specific objectives. For articulation purposes, books can provide an enjoyable context to practice certain sounds. If a child is learning to say his “f” sounds and has progressed to the sentence level, reading books that have multiple opportunities for “f” is so much more engaging then doing worksheets! For language development, you can use books to target verbs, adjectives, prepositions, following directions, answering and asking various wh questions. And, the list goes on. L4K: The concept behind your book, My Toddler Talks is to empower parents, grandparents and educators to promote language skills in kiddos through play. What aspect of the book are you most proud of? My Toddler Talks is available for purchase at Amazon. But…Kim has graciously offered to give-a-way a copy to one lucky reader. (See below for detials). L4K: Finally, what advice would you give to a parent who is raising a child with CAS? Seek out an ASHA certified and licensed speech language pathologist who is experienced in treating apraxia of speech. For severe cases, teach the child some signs or how to use a picture book to reduce frustration and increase functional communication until his speech motor system further develops for speech. Practice specific sounds or words in short but purposeful 10 to 15 minute bursts throughout the day. Purchase Speaking of Apraxia by Leslie Lindsay! Last but certainly not least, give your child a break. He needs to have down time as well. Don’t push practicing if he’s tired, stressed, or not feeling well. 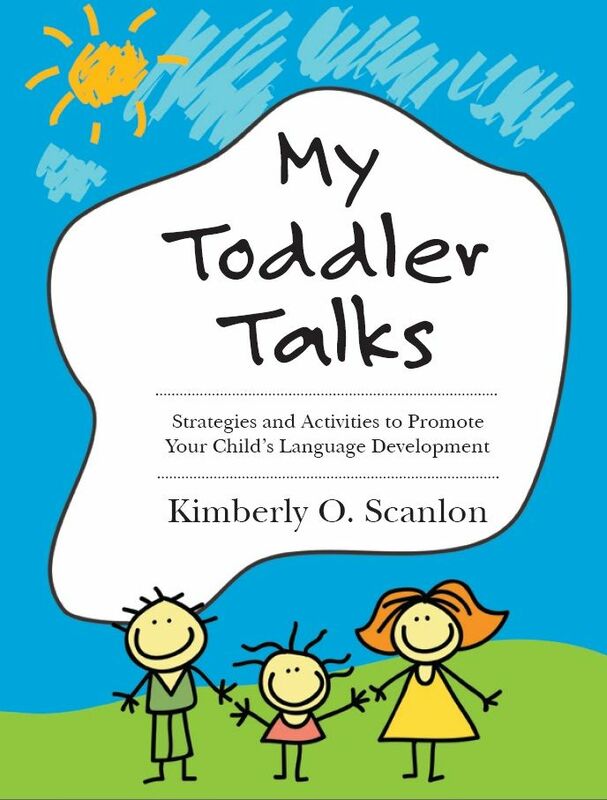 Now for the… Want a free copy of Kim’s book, My Toddler Talks? Of course you do! Drop me a line (leslie_lindsay@hotmail.com) or make a comment on the blog about how this post “spoke” to you. A U.S. winner will be drawn at random Friday, March 15th 2013 at noon CST. You will be contacted via email if you are the winner. Book will be mailed to you free of charge. Next Post The Teacher is Talking: Just a Second!